Teach your children how to avoid dog bites. NEVER disturb any dog who is sleeping, eating, or caring for puppies. NEVER pet a dog, even your own, without letting him see and sniff you first. Children must always ASK PERMISSION from the owner and their parents BEFORE petting any dog. Never allow children near strange dogs -- much less allow them to pet the dog. NEVER approach a dog who is confined behind a fence, within a car, or on a chain. NEVER TEASE any dog by poking at them through fences or car windows or reaching your arm through to pet them. NEVER approach a strange dog you don't know or a dog who is not with his owner. If a dog attacks, "feed" him your jacket, a school book, a bicycle, or anything else that you can get between you and the dog. If you own any dog, but especially a dog that has had the smallest amount of protection training it is your moral and legal obligation to make sure that you do everything possible to insure that your dog is never in a situation where it could bite a child. Make sure that all your dog restraint equipment is in good shape. 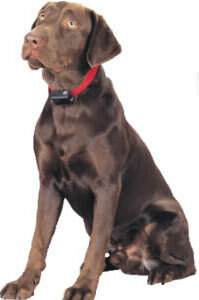 Choose dog collars that are the correct size, and cannot slip off of your dog. Consider a dog muzzle for overly aggressive dogs.